Mindfulness Meditation at Independence LIVE. When you’re constantly on the go, it’s important to take some time to de-stress and relax – even if it’s just once a week! If you’re searching for an effective way to unwind, look no further than Mindfulness Meditation at Independence LIVE. This unique class offers attendees clarity of mind and a unique way to manage stress through variety of different techniques. You’ll build resilience and find deep relaxation through visualization, breathing techniques, and the power of intention. The only thing you’ll need to bring is a bottle of water! 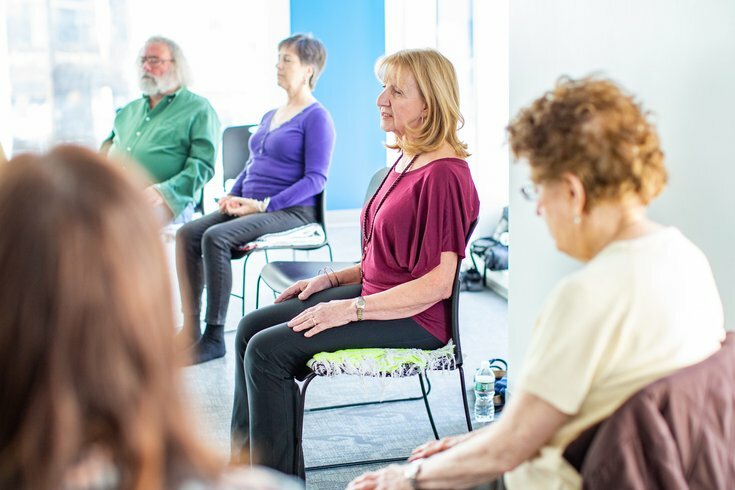 The next Mindfulness Meditation class takes place on Thursday, April 25 at 12:15 p.m. and is free for members of an Independence Blue Cross health plan. Thursday, April 25 from 12:15 – 1 p.m.